"It's harder to eat meat when you know the animal's name," Jon Stewart, who recently adopted his own pigs, confessed on "The Daily Show" Monday night. "They're not different than cats and dogs, in terms of their desire to be friends with us," interviewee Gene Baur, co-founder of Farm Sanctuary, added. His sanctuaries take rescue animals from factory farms and allow people to meet the animals in person. "If you can live well and be happy without causing unnecessary harm, why wouldn't you?" Baur asks in his new book, "Living the Farm Sanctuary Life." Baur has been vegan for decades, after watching too many animals suffer at the hands of humans. The interview comes just days after a federal panel released a major report finding that a diet lower in animal-based foods is both healthier and better for the planet. A recent op-ed in The New York Times echoed this sentiment, noting, "Research shows that animal protein may significantly increase the risk of premature mortality from all causes, among them cardiovascular disease, cancer and Type 2 diabetes." 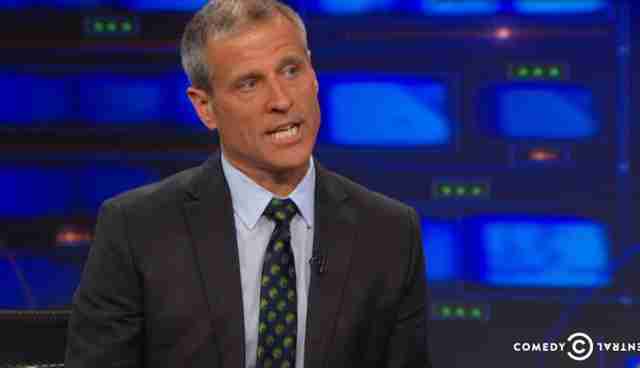 "By shifting to eating plants, we can have enormous impact, on animals, on the planet, and on our own welfare," Baur added to Stewart. 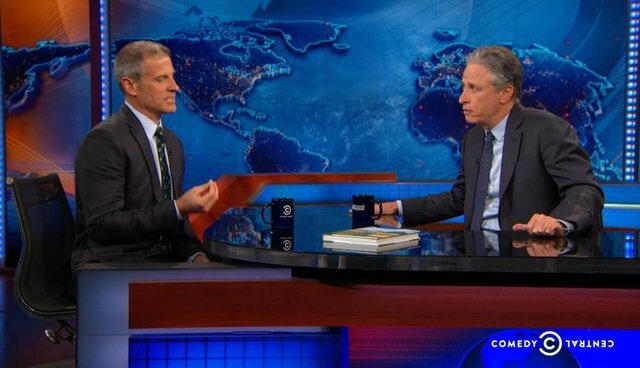 See the extended interview with Jon Stewart here.